In order to ensure that your home has maximum protection, it's important to have aCO detector on every floor. Carbon monoxide detectors can get the best reading Near every sleeping area. Where would you place a carbon monoxide detector? If you have children or elderly family members living with you, provide extra protection near their rooms. If you live in a multi-story home, be sure to place at least one carbon monoxide detector on each level. If your furnace is located in the basement, be sure to place a CO detector there, as well. 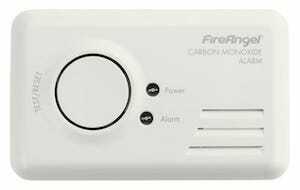 Why is my carbon monoxide detector beeping every 30 seconds? 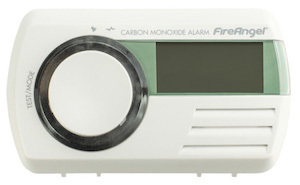 The following conditions could cause your carbon monoxide alarm to chirp consistently: Low Battery Condition – The alarm will Chirp once every 15 secondsto indicate the batteries need replacement. End of Life Warning – Seven years after initial power up, a Kidde CO alarm will begin "chirping" every 30 seconds. The HSE strongly recommends the use of audible alarm is an important precaution but they must not be regarded as a substitute for proper installation and maintenance of gas appliances by a Gas Safe Registered engineer. Before purchasing a CO alarm, always ensure it complies with British Standard EN 50291 and carries a British or European approval mark, such as a Kitemark. CO alarms should be installed, checked and serviced in line with the manufacturer’s instructions. Most CO alarms currently last between 5 and 7 years. Quite a lot of CO alarms also do not warn you when they reach the end of their life, which means that they could be entirely useless while giving the impression of protection. we offer a FireAngel CO alarm that has a sensor life of ten years, a battery life of ten years and a ten year guarantee! The alarm also gives a warning when it reaches the end of its useful life.